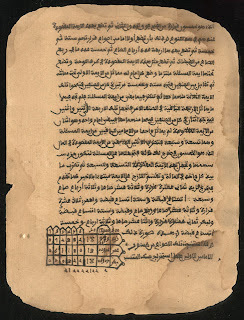 The danger to ancient manuscripts in Timbuktu in an internal armed conflict in Mali between military officers (who overthrew the President in March) and Tuarag rebels, who now control much of the North, have been well-documented in several places (see, e.g., here, here, and here - a petition to protect the manuscripts is here). "The citizens of Timbuktu have rallied to protect these ancient documents, and I salute their courage and dedication. But they need our help. I solemnly appeal to all concerned to be especially vigilant and to work together to prevent the loss of these treasures that are so important for the whole of humanity." UNESCO noted that Bokova contacted "national authorities in countries sharing borders with Mali" to focus on preventing any illegal export of cultural property from Mali pursuant to the 1970 UNESCO Convention on prohibiting the illicit import and export of cultural property. Article 19(3) also states that UNESCO "may offer its services to the parties to the [non-international] conflict." The significance of these provisions - whose function (roughly equivalent to Common Article 3 of the 1949 Geneva Conventions) is to provide some baseline rules in internal armed conflicts - is twofold. undertake to respect cultural property situated within their own territory . . . by refraining from any use of the property and its immediate surroundings . . . for purposes which are likely to expose it to destruction or damage in the event of armed conflict, and by refraining from any act of hostility directed against such property. These restrictions may be waived, but "only in cases where military necessity imperatively requires such a waiver" pursuant to Article 4(2). Second, in pursuing the goal of protecting cultural property, UNESCO is expressly empowered by Article 19 to reach out to the parties and "offer its services." The significance of this provision is easily overlooked, but it purports to allow UNESCO to consult directly with anti-government forces, which could have highly-charged political implications. The rebels, for example, could attempt to exploit a dialogue with UNESCO to assert the international legitimacy of the rebel movement. Arguably, this possibility also provides UNESCO with leverage in dealing with those forces. "If you want your movement to be viewed as legitimate in the international community," UNESCO could argue privately, "you should take steps to secure and protect cultural property in territory you control. Allowing looting and destruction will only bring international condemnation." The central government, in turn - and with some justification - could protest UNESCO's meddling in its internal affairs. Article 19(4) addresses this problem, in part, by stating that Article 19 "shall not affect the legal status of the parties to the conflict" which means that, by offering its services to anti-government forces, UNESCO should not, as a legal matter, be viewed as recognizing the authority or legitimacy of those forces. That legal clarification, however, does not change the perception that might result. In spite of all the difficulties it may encounter, UNESCO must fulfil the responsibilities entrusted to it by its Constitution but it must also comply with Article 19 of the Convention. It must expect criticism and opposition and accusations of interference in the internal affairs of States. But, in acting as it does, UNESCO is simply carrying out its mandate and ensuring respect for what represents the higher interest: the protection of cultural property. What about UNESCO's actions in this particular conflict? One could read the recent UNESCO appeal broadly to be itself an "offer" of UNESCO's "services." UNESCO reports, for example, that the Director-General "appealed to all relevant authorities, including Mali's warring factions . . . to be on the alert against any attempt to traffic" stolen cultural property and states that UNESCO "stands ready to provide technical assistance to Mali . . . in the application of" relevant treaties, including the 1954 Convention. It is unclear, however, whether UNESCO has taken more proactive or concrete steps, including a more direct offer of services to, or communication with, rebel forces in accordance with Article 19. If so, UNESCO may have heeded Toman's wise advice that, based on the extensive experience of the International Committee for the Red Cross in comparable situations of armed conflict, "UNESCO will do well to keep its approaches [to the parties] confidential." If not, UNESCO should consider taking such steps if they could result in greater protection for cultural property. Finally, both the analysis and the practicalities are complicated yet further by the recent declaration by rebels (who of course have their own website) that the northern portion of Mali is now a new, independent state called Azawad.